Imagine stepping back in time to an opulent era of grand Italian villas with iron gates, walled gardens, romantic balconies, and secret, meandering paths lined with fragrant jasmine and roses. You’re invited to the ACACIA MANSION for a luxurious, one-of-a-kind and otherworldy experience. Built in 1929, Acacia Mansion is a majestic and sprawling property where you feel pampered in old world elegance and glamor. Indulge yourself and your guest (or your entire entourage of friends or family) for a week or weekend getaway. The Acacia Mansion offers overnight accommodations for up to 14 guests and includes five rooms and an office with murphy bed. We have four rooms that can be booked individually with a two night minimum stay, available on occasion. Let us plan a relaxing agenda fit to your taste and budget. We love hosting ladies weekends or bachelorette parties. Need a massage or a private bellydance or yoga class? Just ask and we’ll set it up for you. Want to host a weekend murder mystery dinner in our stately dining room and lavish parlor? We adore themed parties and can help you plan the perfect soirée for you and your guests. We even have our own Saloon where you can host a Speakeasy or Western-themed poker night! Do you believe in mermaids? Believe it or not we’ve had a few in our secret garden swimming pool! Even if you’re not the type to put on a mermaid tail, you can stay cool in our refreshing swimming oasis. It’s safe for all ages and has a sound system for those impromptu dance parties. As you can see, the sky’s the limit at Acacia Mansion! And while you’re here, don’t forget to visit our friendly herd of alpacas––feed them carrots and take cute selfies, they love having their picture taken! 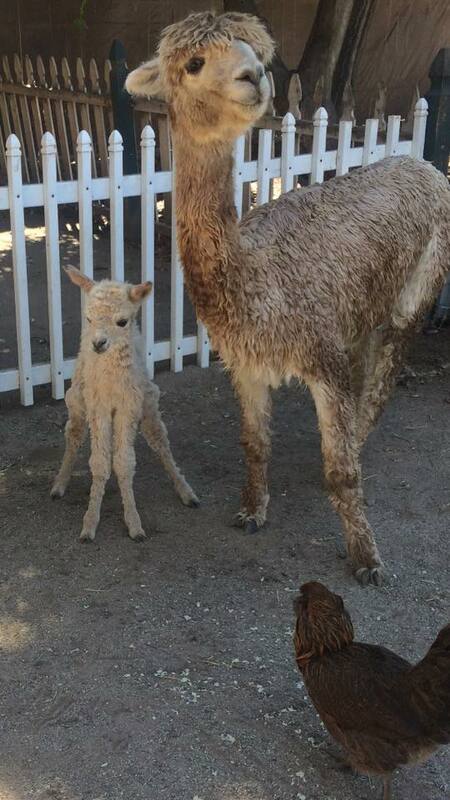 You can see more adorable alpaca pictures on our photo gallery page. Acacia Mansion is the perfect location to bring your clients (up to 14) with discerning taste for a luxurious week or weekend retreat. We love to host high-end yoga, meditation, writing, dance or business/marketing retreats. We can refer you to photographers, massage therapists, and limo drivers to help make your gathering memorable … in a good way! Just let us know what you’ll need and we'll make arrangements for you. Would you like to book your company retreat to plan that next big product launch or create an inspired go-to-market campaign? Studies show that staying in a relaxed state of vacation mind increases productivity and innovative ideas. Allow your employees to relax as they help you grow your company’s bottom line. "Fun and Formal" is our motto. 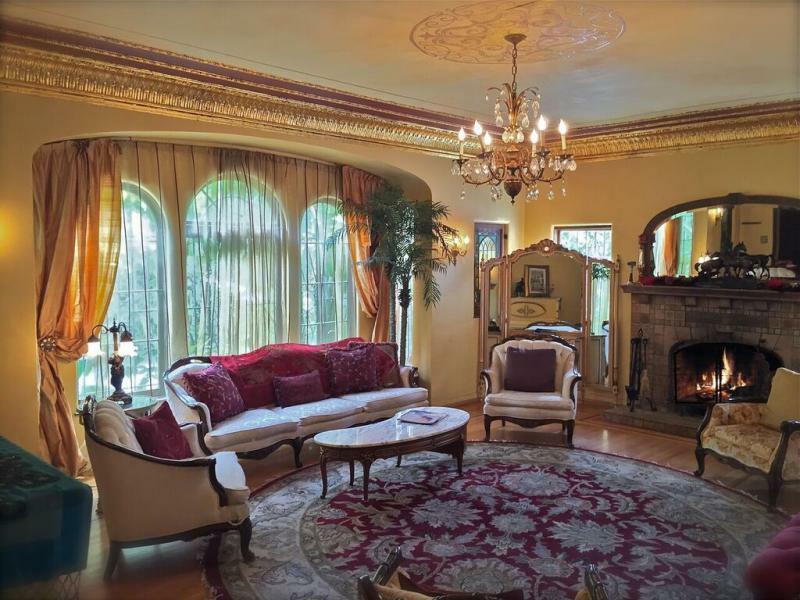 Kristina Knapic bought and refurbished the sprawling Acacia Mansion estate in 2004, located near downtown Ojai. During the town’s earliest days, many came to study with the great spiritual teacher Krishnamurti at the Krotona Institute. The grand Spanish style mansion was originally built by a follower of Krishnamurti, a wealthy widow named Madeleine Baird, who hostessed many spiritual gatherings where travelers and locals alike could come and absorb his teachings. 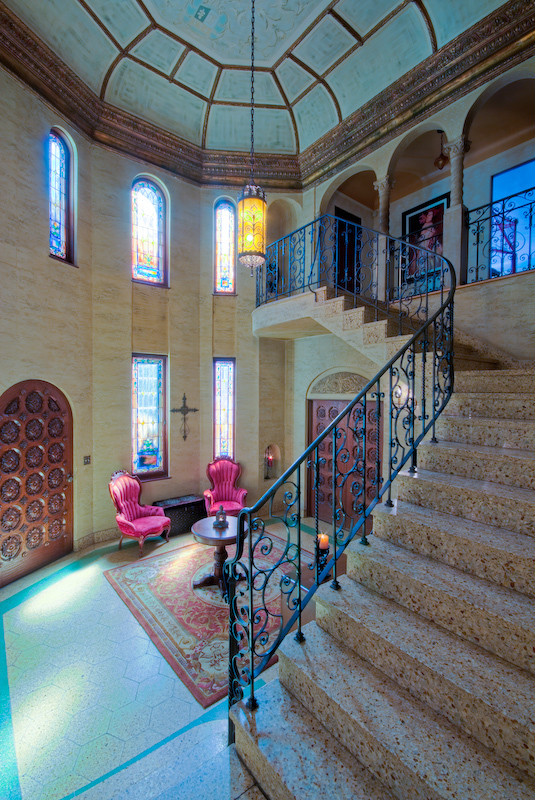 Madeleine brought artisans from Europe to create the jaw-dropping two-story entryway with alabaster floors and stained glass windows. Many of the ceilings are hand painted and the sweeping iron staircase is a beautiful backdrop for photos. Kristina's vision was to restore the mansion to its original state and provide a place for guests to step back in time. 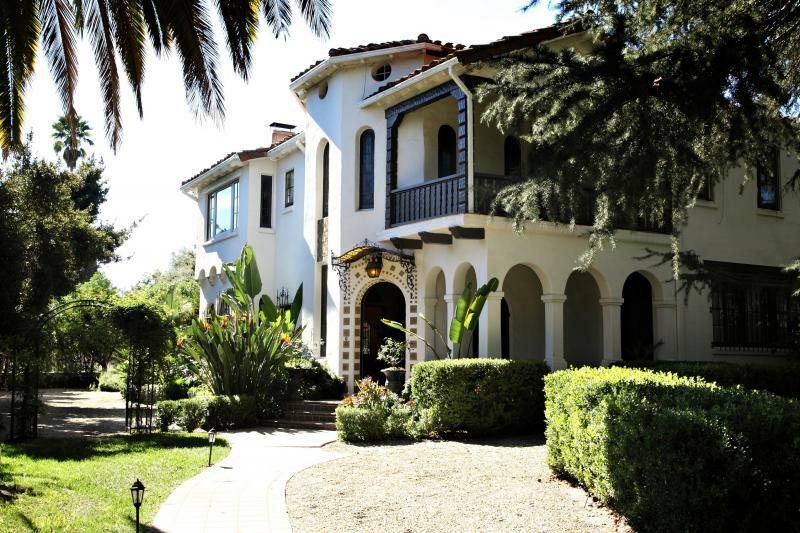 A Ventura County landmark, the Acacia Mansion now provides a beautiful setting for families and groups to enjoy as a vacation rental and charming Inn.